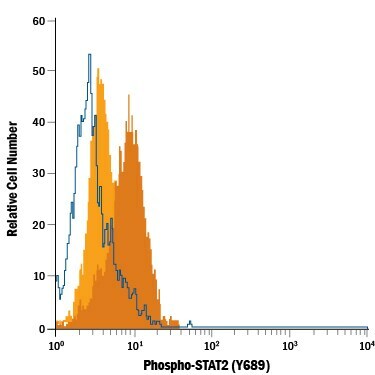 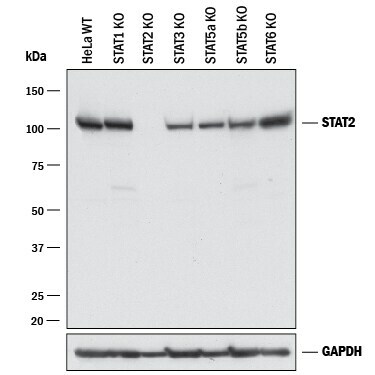 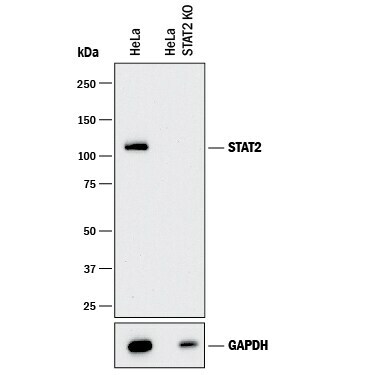 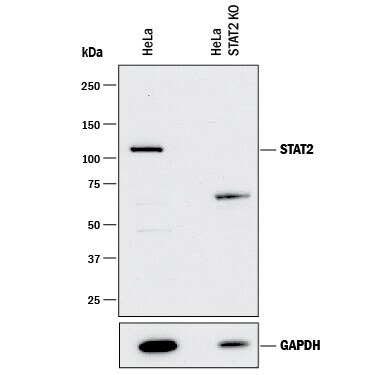 Signal transducer and activator of transcription 2 (STAT2) has an apparent M.W. 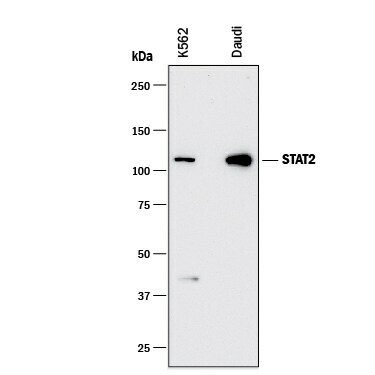 of 113 kDa in SDS-PAGE gels. 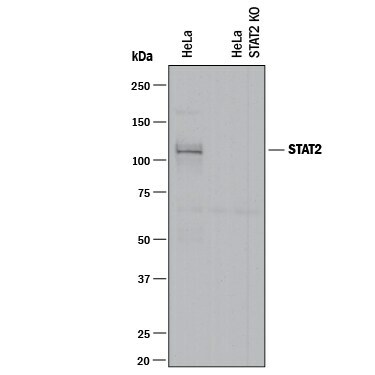 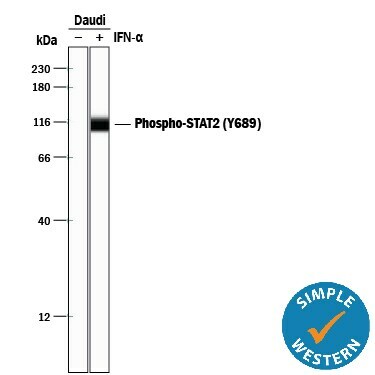 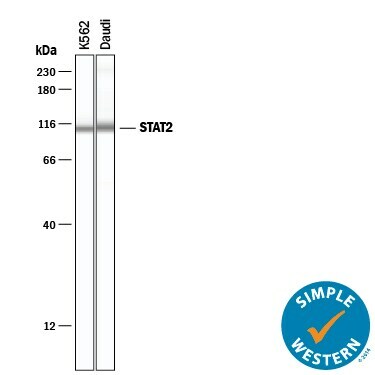 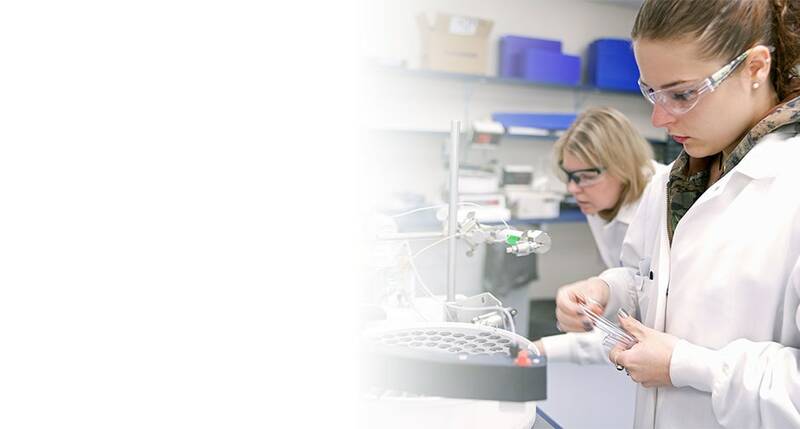 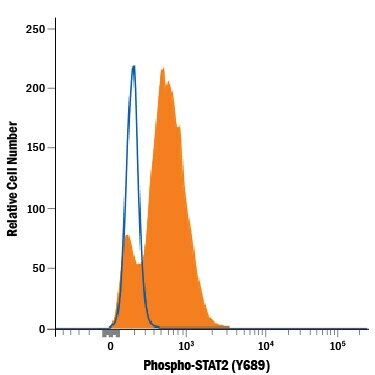 Human STAT2 is 851 amino acids (aa) in length and contains one SH2 domain (aa 572-667). 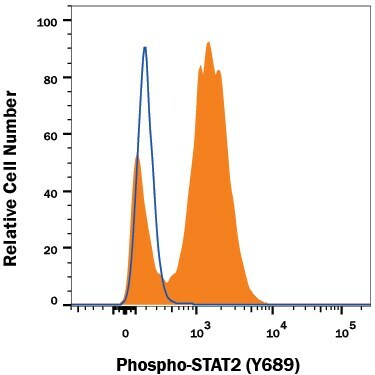 Splicing variants produce two isoforms for human STAT2. 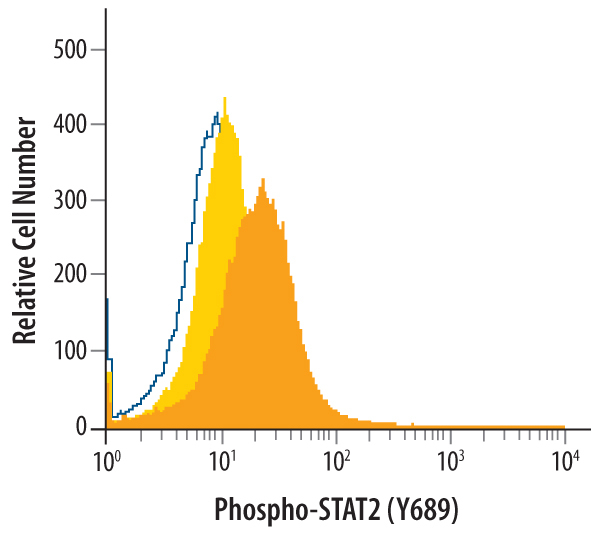 The short isoform has a 32 aa substitution and a 199 aa deletion corresponding to aa 621 - 652 and aa 653 - 851 in the long isoform, respectively. 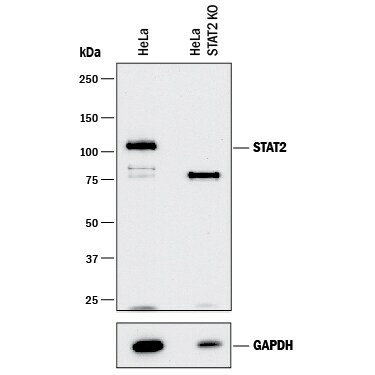 Human STAT2 shares 73% and 65% aa sequence identity with rat and mouse STAT2, in that order. 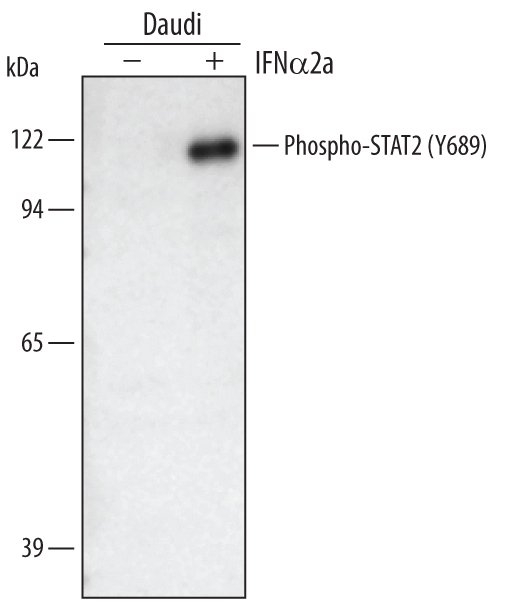 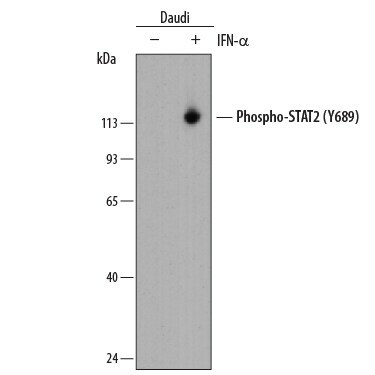 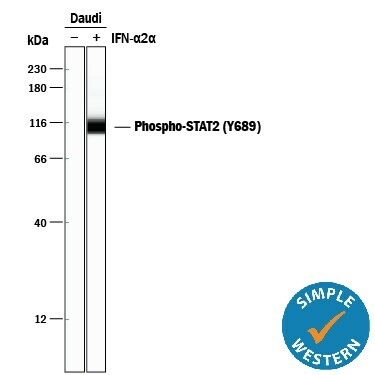 STAT2 functions as a signal transducer and activator of transcription that mediates signaling by type I IFNs (IFN-α and IFN-β), and it is also required for myogenic differentiation. 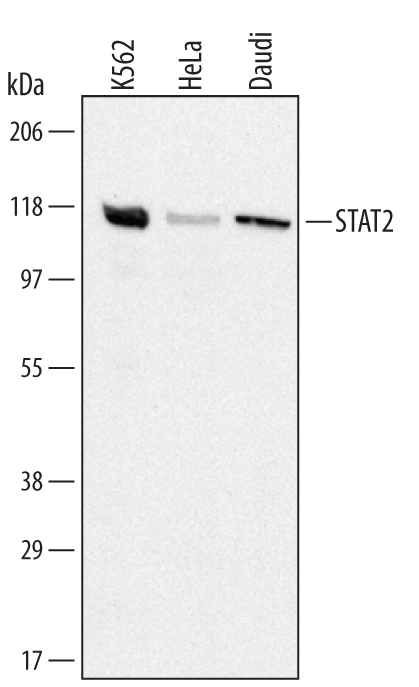 "STAT2" has 17 results in Products.